People were injured and dying in crashes caused by the sudden, uncontrollable acceleration of certain Toyotas as early as 1992, but Toyota kept making its cars the same way. Even though it was aware that it had a serious problem with some of its vehicles, Toyota never sent out a recall or warned the buyers of its cars. It failed to fix a problem which seemed to afflict only a minority of its cars. If you’ve been injured in a car accident caused by a defective part, it is critical that you hire an attorney experienced in such claims, one with the financial resources and ability to sue large corporate defendants and negotiate with them. Taking a page from the successful defense strategy of the tobacco industry, Toyota denied that the problem lay with it and, instead, blamed the drivers for their crashes. 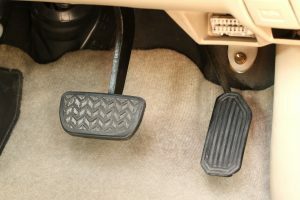 When enough people survived and told the same harrowing tales of being trapped in a speeding machine they couldn’t slow or stop, Toyota tried to divert attention from the real problem, defective accelerators, by focusing on a more innocuous cause, floor mats jamming under the accelerator. In 2009, the news media picked up on a tragic 911 call that captured the screams of a California Highway Patrol officer’s family as their car accelerated to 125 mph and flew over an embankment, killing the entire family. That terrible 911 call focused national attention on Toyota and its defective cars. Toyota still hid the problem with the accelerator. It was years before a barrage of successful lawsuits forced Toyota to admit that it had lied to the public. Their lies led not only to death and injury, but even unjust imprisonment. One Minnesota man was imprisoned for 2½ years for killing two children and an adult while driving a Toyota he couldn’t slow or stop, before the truth came to light and he was freed from his sentence. Ultimately, Toyota was forced to issue massive recalls and was fined $1.2 billion by the Department of Justice. It ended up paying $1.6 billion to settle a class action lawsuit brought against it. If Toyota hadn’t been repeatedly and successfully sued by the victims and the lawyers who would not accept the company’s denials, people would still be “inexplicably” dying in its cars. Suk Law Firm focuses exclusively on personal injury and wrongful death cases. Our attorneys have the financial resources and knowledge to fully develop your case and our focus is on reaching your optimum financial recovery. We have recovered more than $125 million on behalf of our clients and we are ready to assist you.